my mom is the most thoughtful person I have ever met. she loves to make everyone feel comfortable and appreciated. she buys all my favorite cereals and breakfast items even if I am only visiting for one day. she calls me several days ahead of my visit to see what she can make for dinner in the evening. 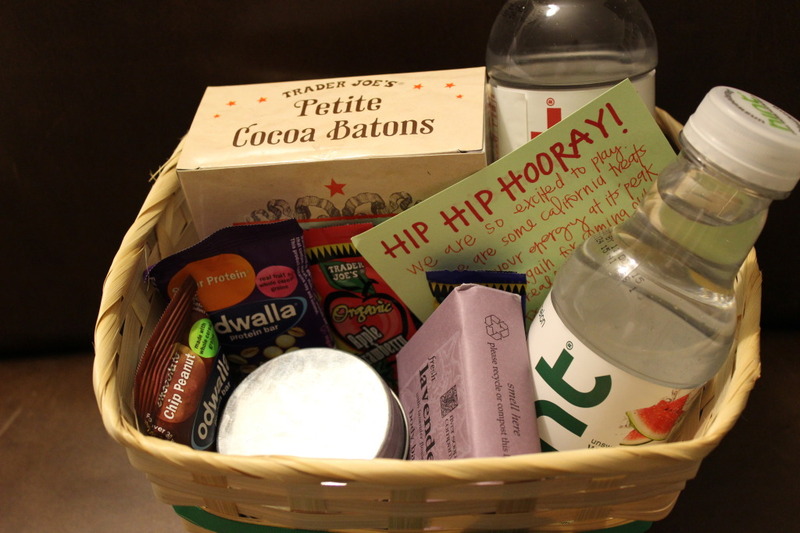 she makes welcome baskets for guests full of late night goodies. and most importantly she welcomes everyone into her home with a big hug. she is the quintessential hostess. i am working on this attribute because i admire it so much. when b’s parents decided to come visit us I knew this was the perfect time to put my hostess skills to the test. 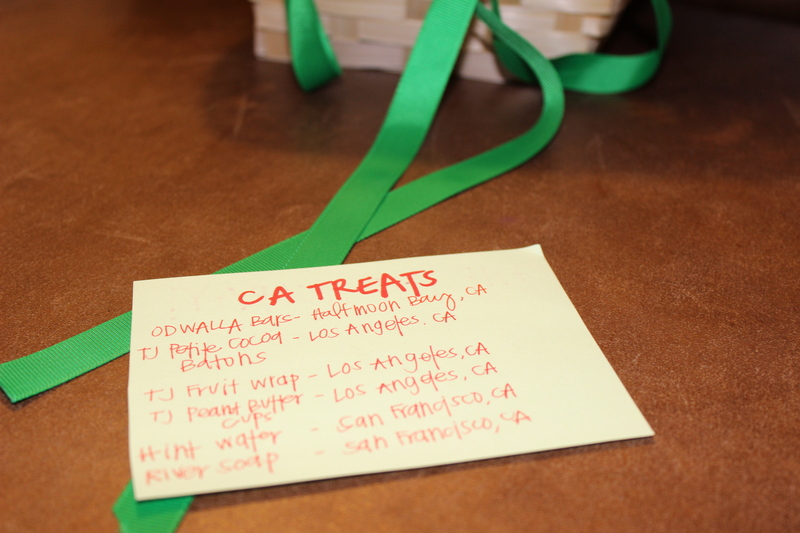 besides the amazing restaurants and recipes we indulged in (as you may remember I revolve all good trips around food), i thought it would be nice to surprise them with a small welcome basket full of california goodies. i had to welcome them to the bay area in style, you know? i also felt terrible that we were not able to host them at our own apartment since it is a one bedroom and rather small and thought some goodies in their hotel room would make it feel more homey. i grabbed ribbon and a basket from the dollar store (score!) and filled it with some tasty local treats. And, of course you have to include a fun rhyming note. 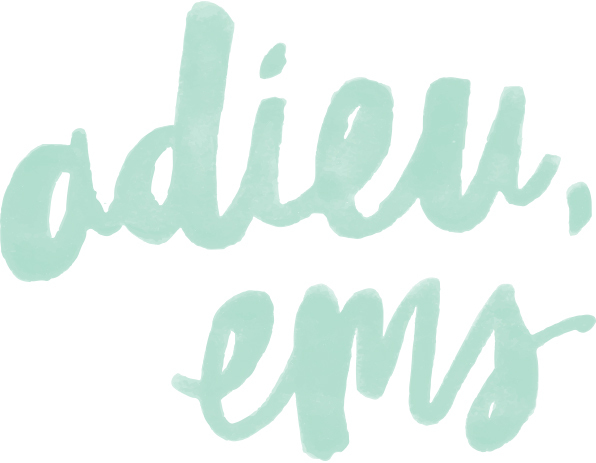 I was inspired by emi of the well traveled wife. she always creates the most darling notes for every occasion. what are your favorite gift basket goodies? 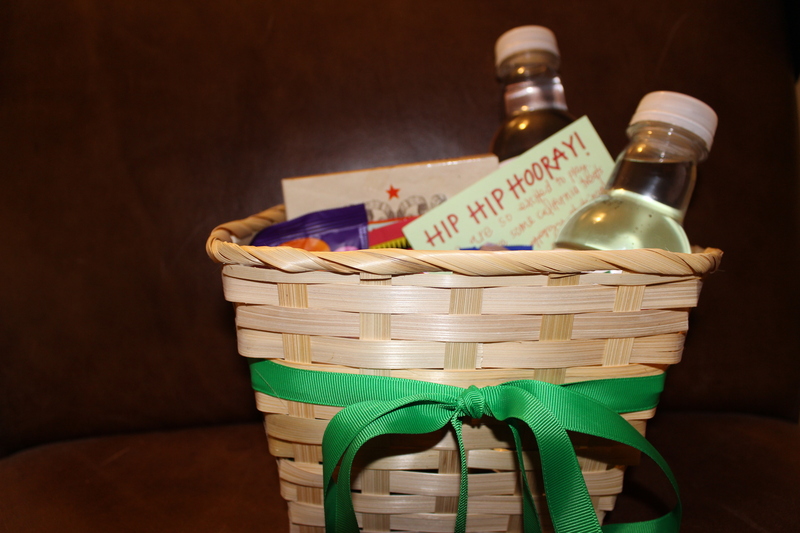 This entry was posted in Let's Get Real and tagged hostess, welcome basket on 10/03/2014 by Ems.